Geoffrey Braslow had a dream when he and Michael Sprague opened ACME School Of Driving. When Geoffrey passed away unexpectedly in November 2011. I came aboard in Geoffrey’s place to partner with Michael in the company. Keeping Geoffrey’s dream alive has become a mission for me. The goal of this company is to put safe drivers of the roads, to help those who have received citations, and most recently to offer mature drivers a program to help them keep up their skills as well as saving insurance premiums. We are here to serve your driving needs whatever they may be. I love being a driving instructor. I have been with ACME for 4 years and was a driving instructor 31 years ago. I teach behind the wheel leeson and classroom driver education, as well as Traffic school classroom. I am excited about the challenges ahead with our new senior driving program. I am working with the special ed at the high and love working with teens. Hello, my name is Patty Scott. 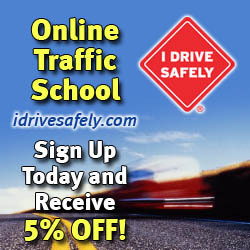 I am in the business of teaching students how to become safe, defensive drivers. But let me back up a bit. I was born in Ohio, as the oldest daughter with five siblings. Being the oldest, I always felt a certain responsibility for my younger siblings, so I guess you could say that’s how I grew into someone who felt the need to keep others safe. The profession of Student Transportation chose me. Yes, you heard right. It chose me. I felt the need to keep my own children safe as they rode the school bus to school so I became a school bus driver. I was in the Student Transportation Business for 27 years. Through education and continuous training, I worked my way to the top in Transportation. After 27 years, I felt it was time for a change. I have always felt passionate about the wellbeing of children. When the opportunity to become a Licensed Driving Instructor arose, I felt this was exactly the change that I needed. I am now at Acme School of Driving and take great pride in seeing a student pass their driving test at DMV and start enjoying the privilege of driving. Brian St. John is retired from over 25 years in public safety and is dedicated to ensuring that every student that goes through Acme School of Driving learns to be a safe driver. Brian has lived in the Tehachapi valley area for over 13 years and raised 4 kids here. He has been involved with the Boy Scouts for over 15 years, including 10 as a scoutmaster.